My grand plan of a subtle tone-on-tone color palette was a colossal fail. The Granny Smith White is just too white to play off the bright white starting at the picture molding. 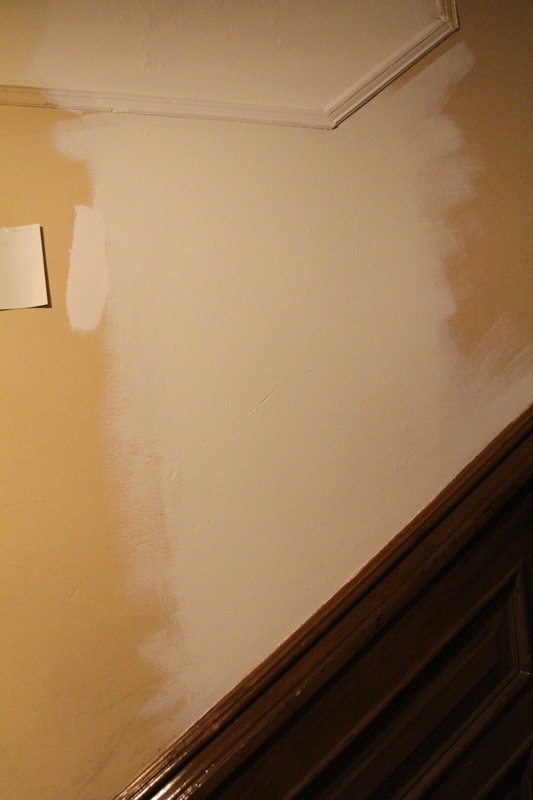 I was afraid of going too dark, given the current dark-ish industrial beige currently on the wall.